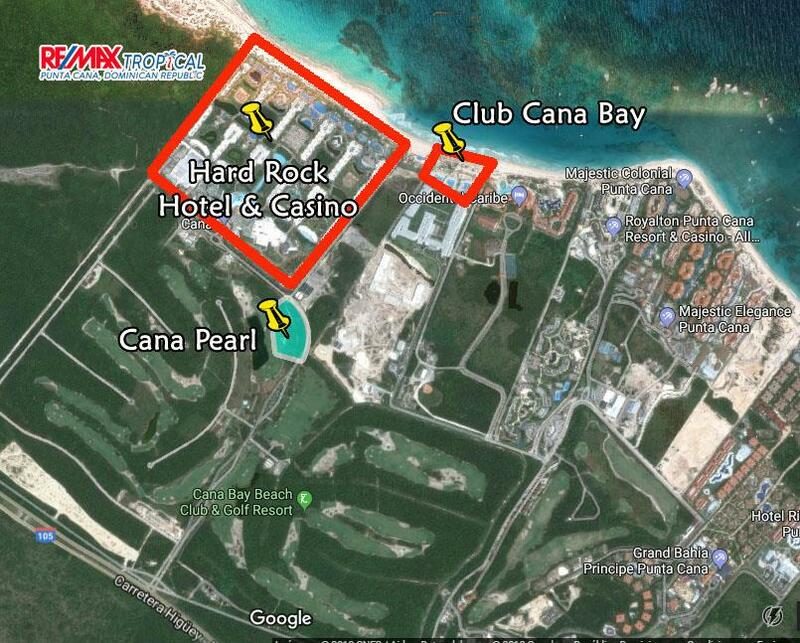 Cana Pearl is located in the Cana Bay Golf Course next to the Hard Rock Hotel Punta Cana. With views to the golf course and lake and just a minute away from the beach and Beach Club, the Hard Rock Hotel Casino and restaurants and the tennis courts. You will have the best of all worlds! Cana Pearl condo apartments in Cana Bay include the oven, stove, extractor and A/Cs. "Only 2 Bedroom condo left !" 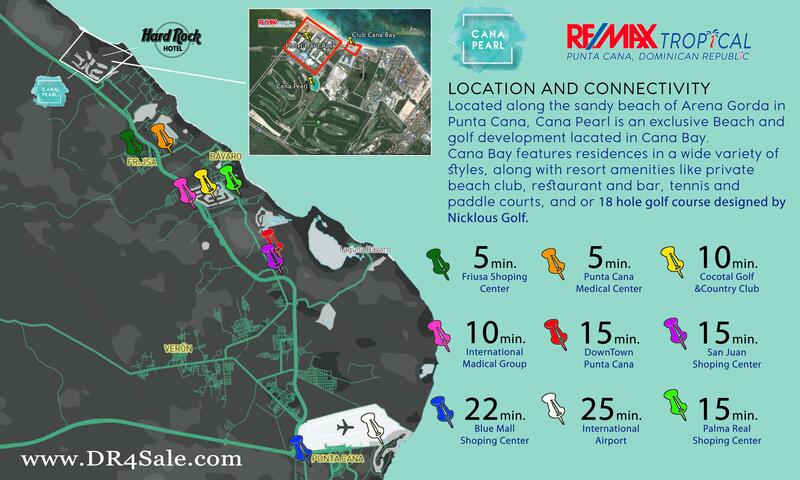 "Right next to the Hard Rock Hotel Punta Cana"
There will be a an office / reception located between Phase I and Phase II. The builders are studying the possibility of locating a small gym there as well. 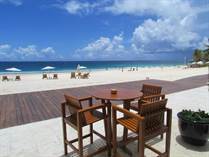 The maintenance fee will be about US$ 2 / m2 including including the Cana Bay Beach Club Fee. For short-term residents: US$ 130 for both Green Fee or Twilight. Cana Pearl will benefit from CONFOTUR, an incentive from the Dominican government for investors: a 15-year tax exemption of the property tax (usually 1% yearly) and also no transfer tax (usually 3% for the transfer of the title to your name). If you have any questions or need more information, please contact your REMAX Tropical representative. Reserve your condo today!